The director was speaking to a group of Holocaust survivors in Poland today. STEVEN SPIELBERG HAS said that Jewish people are again facing the “perennial demons of intolerance” from anti-Semites who want to strip them of their identity. The film director made the comments while speaking to a group of Holocaust survivors in Krakow, Poland today. Spielberg has been working on a documentary to commemorate the 70th anniversary of the liberation of Auschwitz. He will be present at a commemorative event at the concentration camp tomorrow. 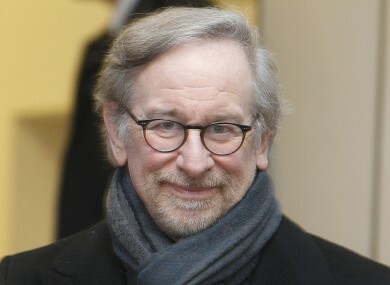 Spielberg founded the USC Shoah Foundation in 1994 with a view to creating a visual history archive about the Holocaust. The organisation currently has a collection of about 53,000 eye-witness testimonies. The Israeli news website Haaretz said that Moshe Kantor, president of the European Jewish congress, told the same conference that “Jews are the only European minority which is afraid of sending kids to school”. But Europeans remained in comfortable arrogance and terrible tragedy happened in Paris [referencing the Charlie Hebdo attacks]. Earlier today, some of the survivors from Auschwitz prayed for their murdered loved ones amid the barracks and barbed wire of the camp. Email “Steven Spielberg warns of 'demons' faced by Jewish people ”. Feedback on “Steven Spielberg warns of 'demons' faced by Jewish people ”.